Good match. Sin Cara looked quite good in this match, pulling of some nice, surprising movies including a version of an Angle slam and a running senton from the apron to the floor. Dallas was just kind of surviving in this one. Last week on RAW, Owens turned on Jericho during the Festival of Friendship. This week on RAW, Owens talked about Goldberg. He didn’t mention Jericho. From RAW, Michael Cole conducted a sit-down interview with Lesnar and Heyman. Good match. Neither team really worked well as a team, but as far as four individuals putting on a match, this was good. Perkins spent the majority of the time in the ring for his team while Dar and Nese tagged in and out a bit more. Everyone had some nice moments, and the finish (and the buildup to it) looked really good. 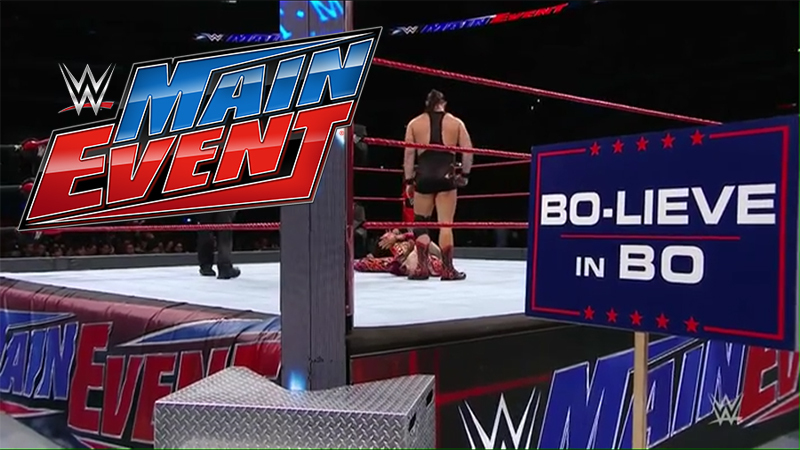 From RAW, Strowman and Big Show fought in the main event. This is definitely a show worth watching. Both matches were quite good. I liked both matches and was particularly surprised by the Sin Cara/Bo Dallas match, but the tag match was more competitive.